Our vision will take us to exciting new places but we won’t stop there. Our ultimate goal is to drive, shape and secure the future for independent Opticians and Hearing Care experts. Giving customers the clinical excellence they expect and the heartfelt service they deserve. It's not just about what we do, but how we do it. We put our heart and soul into helping customers live their lives to the full. We care that each person is examined in the most thorough and caring way possible. 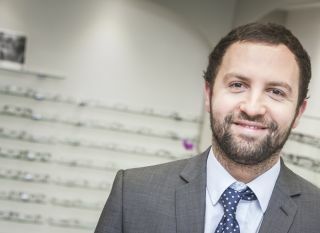 We give you the time and professional freedom to understand each customer’s needs, so you can learn about their lifestyle and advise on completely personalised solutions to protect their eyesight and hearing. It helps when you are working in a state of the art practice with advanced technology like OCT and Optomap at your fingertips. Plus, the results are even more satisfying when you are working alongside fully-qualified Dispensing Opticians who know just how to fulfil the prescription (no matter how complex). For us, the customer journey is all about care – delivering clinical excellence through brilliant technology, all rooted in a deep understanding of each customer’s unique lifestyle – and delivered by amazingly passionate, caring and fully qualified staff. What drives us? The same compelling vision, supported by our independent values – Listen, Empathise, Educate, Delight. To see. To hear. To live – for life.